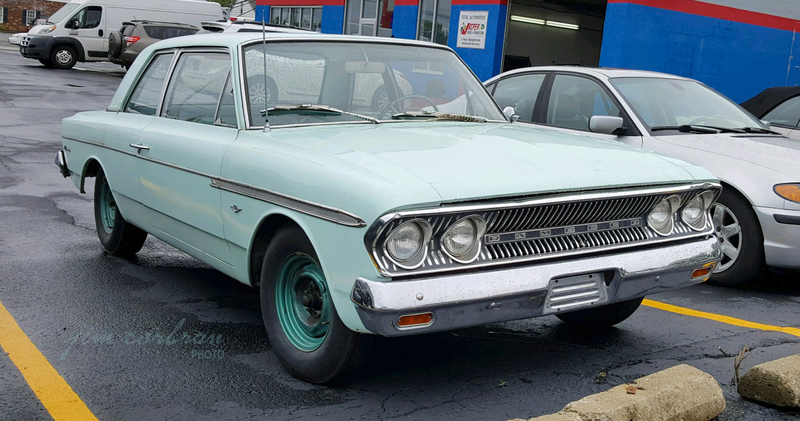 According to the fender badge on this 1963 Rambler Classic 660, under the hood is the optional 287 cu.in. V-8, which was made available midway through the model year. Although Ramblers were well-known for their economy of operation, they didn’t shy away from a little high performance every now and then. Motor Trend magazine gave their 1963 Car of the Year Award to both the Classic and AMC’s similar but more upscale Ambassador. Both had curved side glass (an innovative feature that today we take for granted) and unit-body construction. Also mentioned by MT in their CoTY article (read it here) were the styling of the Classic/Ambassador, their performance, and of course (they’re Ramblers!) fuel economy. Saw this well-preserved example last week in Tonawanda.